You’ve heard about Croatia, but still haven’t sailed there? Change that as soon as possible! Croatia is one small country in the heart of Europe. It’s located on the Adriatic Sea which is part of the Mediterranean Sea, it has the well-indented coast and Mediterranean climate so, therefore it’s favourite sailors destination. You just have to continue to read this blog and find out why it’s so! 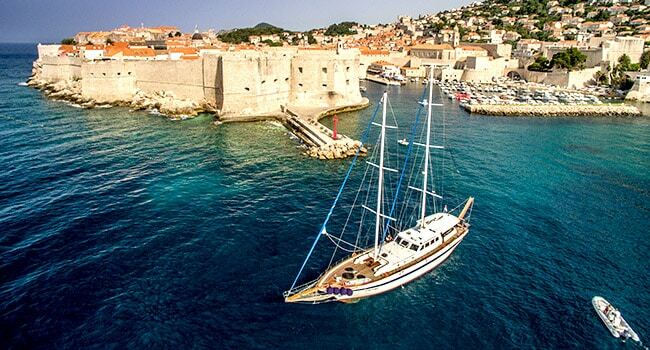 Let’s see why sailing in Croatia should be on your bucket list! The sailing season starts in April during warmer days and it ends in October. Mediterranean climate prevails in Croatia all along the Adriatic coast. Summers are dry and hot with an average temperature of about 21 to 27°C during summer months and with 2600 sunny hours per year. The most famous winds that blow on the Adriatic are: bura (NNE), jugo(S) and maestral (WNW). While bura and jugo both represent excitement and challenge to sailors, maestral guarantees pure enjoyment at sea. Each wind is specific, so before sailing out check weather forecast to be able to catch the wind in your sails in the best possible way! What attracts sailors the most from all over the world is the diversity and natural beauties of the Adriatic coast. You can pick by yourselves how your day is going to look like. You can choose to sail into city marina and explore some historical place that is under UNESCO list, enjoy all-day swimming in some small bay or anchor in little fishermen’s village. There you’ll be able to try some Dalmatian specialities with local inhabitants or swim on one of many Blue Flag beaches (an indicator of sea purity). Croatia offers you favourable wind in sails and guarantees new adventures on the Adriatic sea. The view from your boat will be stunning from dawn till sunset. Enjoy these relaxing shades of blue sea and sky, green islands and white stone. Even though the journey is more important than the destination, Croatia offers you a handful of culturally-historical attractions all along the Croatian coast. Today, in Croatia, you can find interesting monuments, remains from the period of the Roman Empire. You should see old Roman amphitheatre in Pula, remains of an ancient town in Zadar, Roman Emperor’s palace in Split and Walls of Dubrovnik. Except these, world’s known destinations, in Croatia you can see many other and smaller places, visit some traditional manifestations and meet Croatia from the completely different point of view. If you’re crazy about some wild night outs to direct your sailing yacht to the island of Hvar, Pag or some other places where you’ll have an opportunity to enjoy fantastic music festivals (Ultra, Sonus, HideOut…). The fact that 40% of the overall world’s charter fleet is located in Croatia says a lot about the nautical popularity of this country. Choices to rent a yacht here are huge, with wide quality and price offers, therefore, it’s so easy to get lost in it. That’s why you should have a quality support in Croatia where you’ll find all the necessary information. During night except in marinas, your boat can be safe in many bays, with free anchorage or with fee charges if you’re tied to a buoy. If you’re in National Park or Nature Park area your anchorage will be charged according to their price lists. 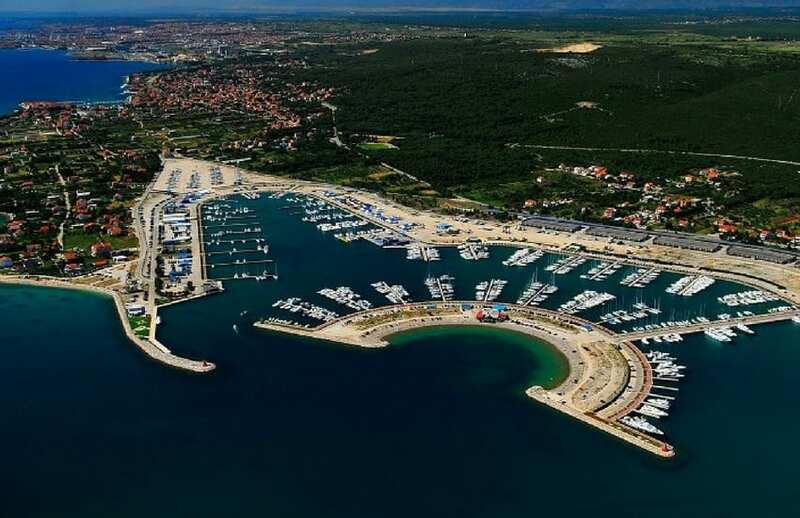 There are around 60 marinas along Croatian coast which prices depend on season, length or vessel type and location. Sailing yachts with a length of 10 to 12 m have a daily price of 60 to 90 €, but sailing yachts of 14 to 16 m have a daily price of 90 to 130 €, depending on the season period and location. 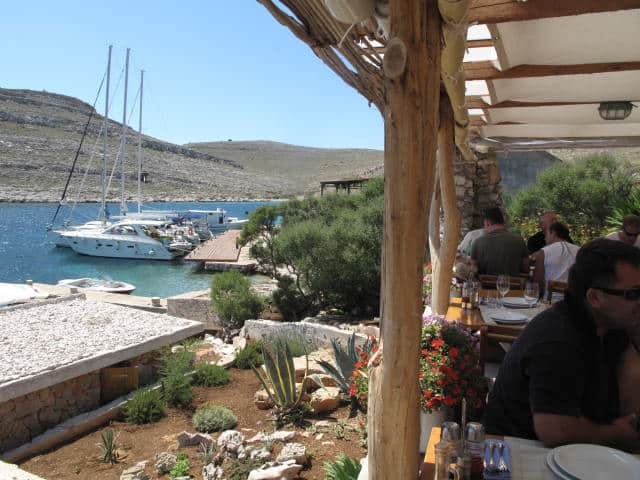 Marinas in Croatia have a good infrastructure so you can relax, have a safe and quiet night out, in restaurants, lounge and bars in marinas. Also, marinas are mostly close to cities so you can visit and explore the sights of this city. We will be happy to suggest destinations, sailing routes and find a sailing boat that will suit the needs of you and your crew. Mediterranean food is characteristic for the coastal area of Croatia. It is based on fish, seafood, vegetables and olive oil. Numerous researches have proved that this type of food is the healthiest one. It makes good for heart and blood and is also helpful to lose some weight. It is always a good choice to wash the food down with the fine Croatian wine. Croatia is proud of its world’s famous wine sorts and you definitely shouldn’t miss trying some of them. You can try Dalmatian specialities in restaurants, small taverns and in each house where you’ll be treated as a dear guest. Croats are extremely hospitable as hosts. Relax and enjoy! Crystal clear sea, more than thousand islands, hidden bays, sandy and pebble beaches, breathtaking nature and on top of that great weather conditions! Who can resist it? We hope that all the mentioned above will make you put Croatia on your bucket list and to see you soon in Croatia. 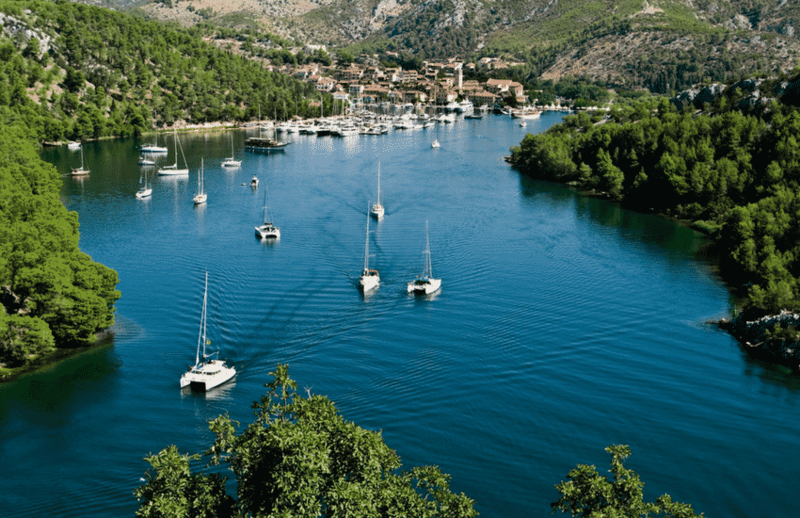 Enrich your sailing experience with a vacation in Croatia! Make it easy to plan a vacation and contact us! See you soon!